Tokio Hotel. . HD Wallpaper and background images in the Tokio Hotel club tagged: tokio hotel bill tom kaulitz gustav georg. 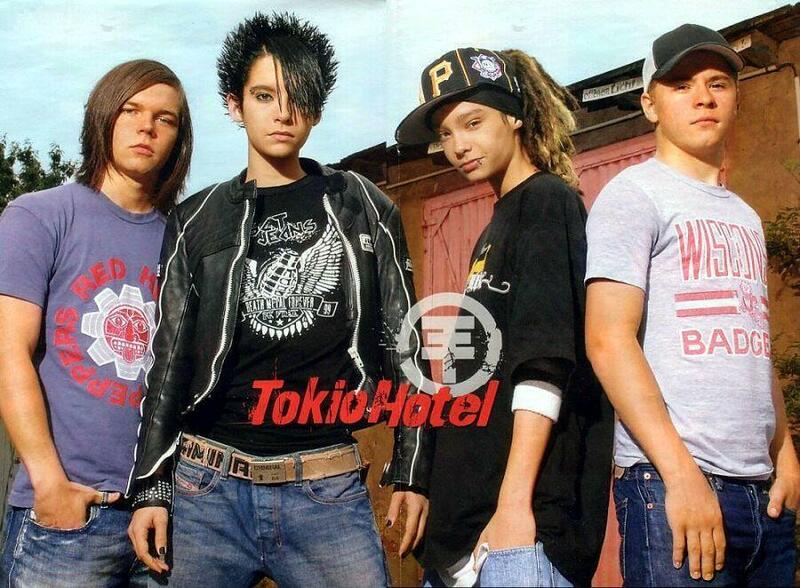 This Tokio Hotel photo contains जर्सी and टी शर्ट. There might also be अवकाश पहनते, अवकाश पहनना, लंबी पतलून, लंबे पैंट, लंबे पतलून, लंबी पैंट, चोटी, and शीर्ष.